Do you have a question that isn’t answered here? If so, let us know! Q: Do I need a fishing license to go on a charter with you? Q: Can I be picked up directly from where I’m staying on the water? A: Yes, The Captain will try to accommodate his clients whenever possible. Q: Do we need to bring any fishing gear on our charter? A: No, the captain provides all of the necessary gear needed for the day on the water, with that being said if you have a favorite rod and reel combo you’d prefer to use feel free to bring it along. A: Yes, I have current up to date insurance coverage. Q: What duration can I book you for a fishing charter? A: The captain is booking trips for 1/2 days(4 hours), 3/4 day(6 hour),Full day(8 hours), other trips may be available. Please contact your captain if you’re looking for something different. Q: What will we be using to catch fish during our trip? A: The captain will provide everything needed to catch fish for the day trip. Depending on what time of year it is, and what is biting, the captain will have greenbacks, threadfins, shrimp, cut bait, and a variety of different artificial baits. Q: What type of gear does the Captain use? A: The Captain uses only the highest quality gear during his charters. Q: Do I need to pay for the charter in advance or may I just put a deposit down for the day I would like to book? A: The Captain needs at minimum a deposit to book the trip, and take the day you wish to book off of his calender schedule. But he will take payment in full as well. If you choose to make just a deposit the balance is due in full at the beginning of the trip when you meet the Captain at the dock. Q: Can I keep fish that I catch? A: The Captain allows for his clients to take home any of their legal catch, but asks that you consider practicing catch and release when it comes to larger trophy breeder species. The Captain will fillet any fish you do decide to keep and place them into bags. Q: Can I bring beer/cigarettes on the boat? A: Yes, beer and cigarettes are fine to bring on the boat, the captain would like you to enjoy your time on the water and nothing is more enjoyable than a cold one while catching fish. Q: Can I go with you to catch Bait? A: If conditions allow and that is what you prefer, the Captain will take you out to get bait with him. Q: What type of fish can we expect to catch? 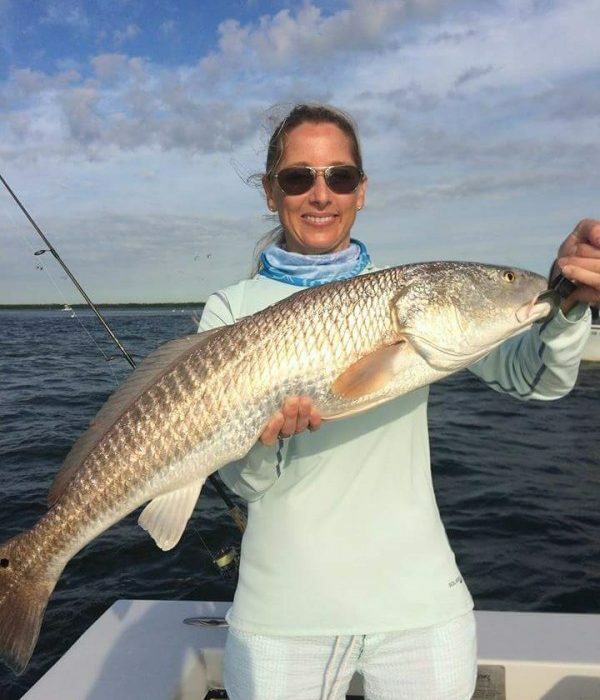 A:Tampa bay is a very unique place and offers a large variety of flats,reef,and grass flats fishing. Different Species are moving in and around the bay daily.Ask you captain what he’s been catching and tell him if you have a particular species you would like to catch while on your charter. Q: Will I get my deposit back if my charter is canceled due to the bad weather?